Early numbers indicate that the cannabis industry is creating explosive growth in the job market. According to the Oregon Cannabis Jobs Report, the retail cannabis sector in that state has created more than 2,000 jobs since voters legalized it two years ago. Meanwhile, in Colorado, the state’s Marijuana Enforcement Division reported that it issued more than 13,800 new occupational licenses in 2015. These licenses permit employees to work for state-legal medical and retail cannabis facilities, as well as the vendors that serve them. So, when searching for new employees, dispensary owners may likely find themselves with a lot of candidates. However, sifting through mounting piles of résumés can be a daunting and time-consuming task. An alternative is to use a recruiting or staffing agency to do the work for you. 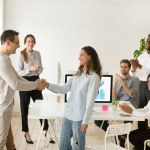 These firms not only can help you save time, they also can help reduce your employee turnover rate by finding high-quality candidates who mesh well with your company’s culture. The type of firm that’s best for you will depend largely on the position you’re looking to fill. A recruitment firm tends to focus on filling full-time, permanent positions, often at the management or executive level. In contrast, a staffing agency typically focuses on temporary or part-time positions. And a third type of agency specializes in filling both full- and part-time openings. Ms. Mary Staffing is in that third category. The Denver-based agency works to fill direct placement and contract-to-hire positions, as well as provide payroll and other services. The company has also expanded its services to help cannabis businesses secure employee benefit packages. This service is in direct response to high employee turnover rates in the industry, owner Stephen Sullivan said. 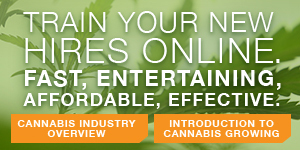 Budtender positions, which are often paid an hourly wage, tend to experience the greatest turnover. On the other hand, management positions show a significantly lower turnover because they usually offer a salary and benefits. Sullivan attributed the high staff departure rates to several factors. “Most of the people that are working in this industry are millennials, who typically bounce from job to job,” he said. Additionally, many smaller shops are unable to offer the powerful retention tool of employee benefits. The wealth of available job openings also plays a role. Many employees will sign on with a dispensary, stay for a while to gain experience, then move on, Sullivan said. In a new sector that’s ripe with opportunity, the lure of greener pastures is strong. Using a staffing agency can help prevent dispensaries from losing their employees to attrition. “That’s what we try to do,” Sullivan said. His company uses a prescreening process that, among other things, determines whether the employee’s career aspirations mesh with the dispensary. By hiring a candidate who is looking to grow with the company, dispensaries can further reduce their employee turnover rate, he said. Yet simply attracting employees is not enough to guarantee a company’s success. The key to staffing lies in evaluating the quality of potential hires. Your employees often work directly with customers, so securing reliable, personable staff is critical. “A knowledgeable, friendly employee will help grow your business,” Sullivan said. Conversely, an underqualified employee can hurt your business. Worse yet, an untrustworthy employee can end up costing you. There have been many situations where employees have pocketed cash and product, he said. A staffing agency or recruiting firm can eliminate these and other issues by prescreening, which can be tailored specifically to the company’s unique needs. 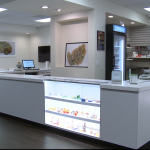 For instance, when filling a position at a small dispensary, Sullivan’s team determines if candidates would be content working in a company with a smaller atmosphere. When deciding on which recruitment or staffing firm to work with, he recommended considering several factors, including the agency’s experience, whether they use a prescreening process, and the quality of the candidates they offer.